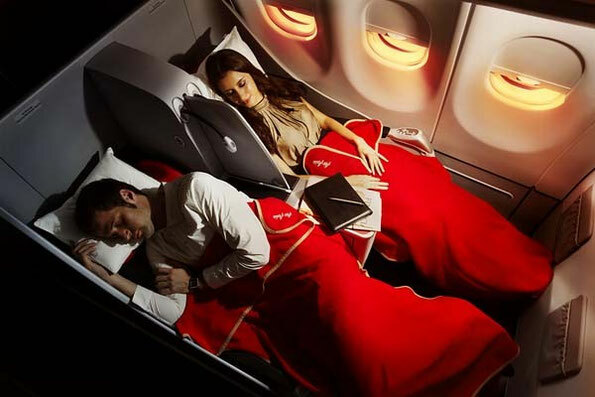 Strictly speaking, only 1 out of 25 passengers per flight get the blessed chance to lie flat as the Premium section is relatively exclusive with twelve Premium Flatbeds compared to over three hundred economy seats per plane. A world of difference: Comparing the Premium section vs. Economy, separated by curtains for privacy. The layout in the Premium section is 2-2-2. The premium section is located right at the front of the plane for easy, immediate access upon boarding and disembarkation. While the complimentary extras are decidedly less generous than what you get in Business Class on Malaysia Airlines, it must be noted that Premium Flatbed is simply not comparable with Business Class of a Full Service airline. 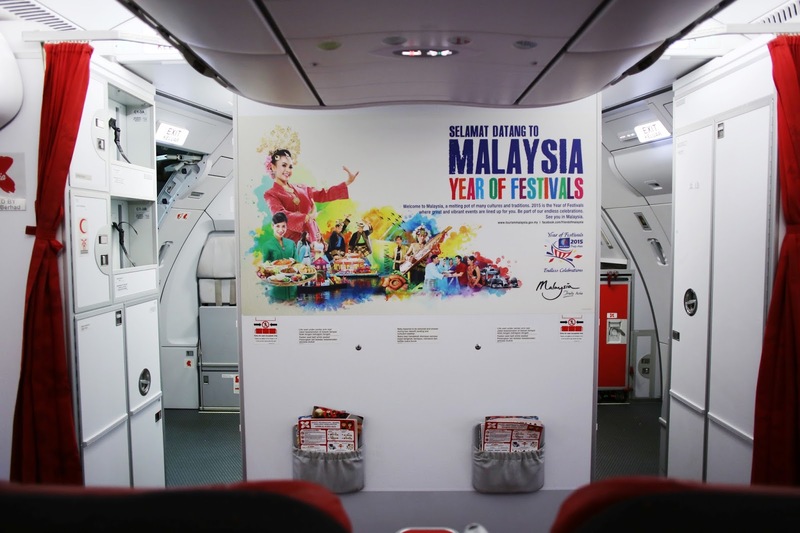 For one: Air Asia is a no-frills airline renowned for being a pioneer in budget-air travel, enabling Malaysians (many of them first-time travellers) to fly to destinations as far as Australia, Japan, and once-upon-a-time, London for far less than any other airline. Flights are as cheap as chips, with costs kept down by a very simple principle: you get what you pay for. 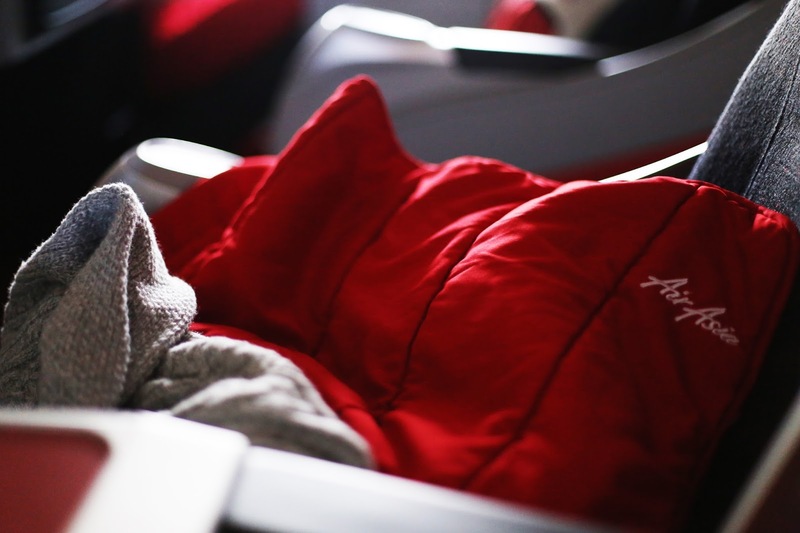 Add-ons like surprisingly tasty in-flight meals and comfort kits are available to purchase for very reasonable prices. Likewise, the price for a Premium Flatbed is an ocean apart from that of a Business Class seat on Malaysia Airlines. For an upgrade that costs from RM300 (£45) each way you get free 25kg check-in baggage allowance, miles of legroom, lie flat seats, one free meal served whenever you want, complimentary bottles of water, a pillow and a thick blanket, separate check-in, and priority boarding and disembarkation. 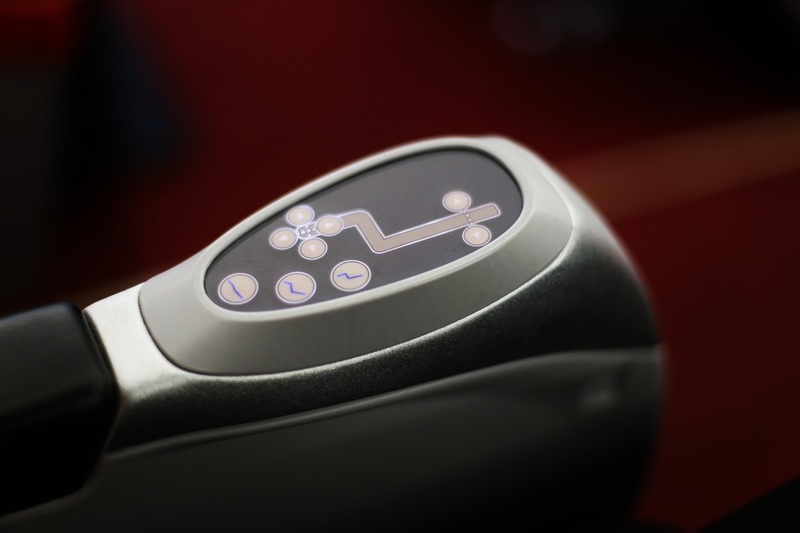 What you don't get is in-flight entertainment, a beauty kit, free flow of champagne, and endless snacks at the push of a button. But neither will you pay thousands of pounds for a flatbed seat with a privacy screen, power outlets to charge your devices, cubby holes to stash your bits & bobs etc. 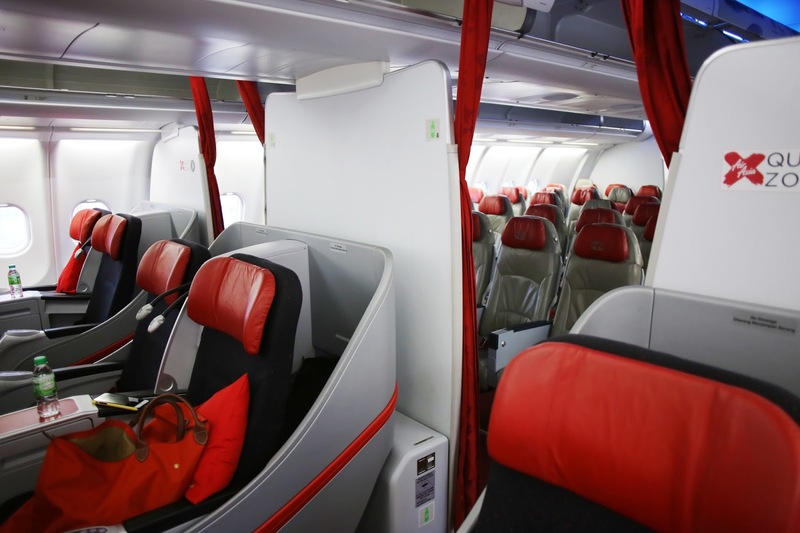 Essentially, Air Asia Premium Flatbed is Business Class on a budget, with one very essential similarity: the choice to recline your seat and sleep in comfort. A God-send especially on long-haul flights, when you think of the poor souls in Economy packed tightly and sitting up straight like dominoes. Believe me when I say that this is all the reason you need to upgrade your flight - especially a long-haul one like my 6-hour flight to Seoul - to Premium Flatbed. If you want to snag a bargain, like I did, don't purchase a Premium Flatbed seat when choosing your flight. Instead, book the usual economy flight with Air Asia. When you receive the email with your flight details, look for the option to upgrade via. Option Town. You then pay for your upgrade, which is pending subject to availability (of course, if you don't get the upgrade you are refunded). You'll know if you 'won the jackpot' anywhere between a few days before or no later than 4 hours before your flight. All that's left to do is recline and enjoy the perks of your Premium Flatbed. 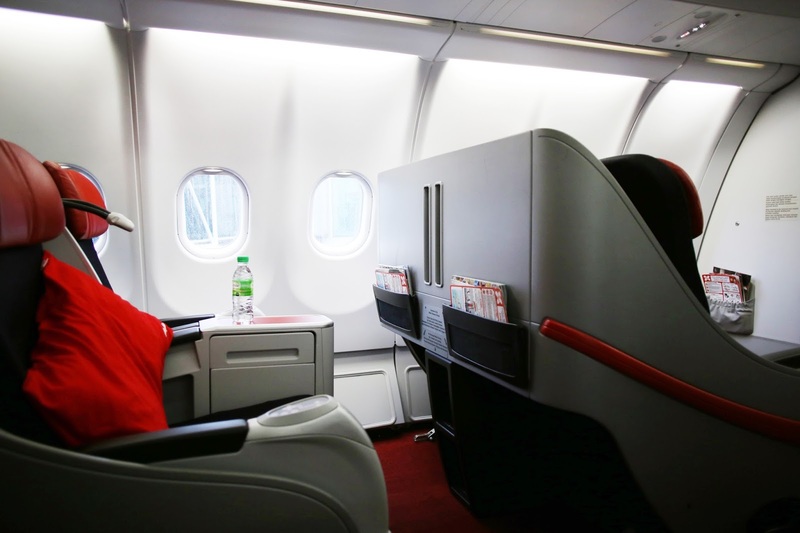 This post is not sponsored by Air Asia - I'm blogging about it because I'm just so chuffed about this Business Class-bargain!